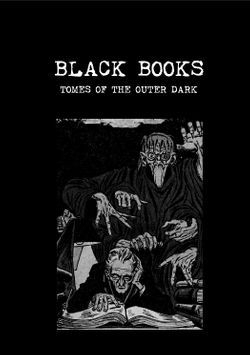 Black Books: Tomes of the Outer Dark - Investigative horror role playing game. Black Books is a horror role-playing game where the player characters (also called PCs and investigators) are ordinary people (historians, detectives, scholars, artists etc.) drawn into a dark and horrific version of our world. As the investigators learn more of the true horrors of the world and the irrelevance of humanity, their sanity inevitably withers away. The rules are biased towards playing in the 1920’s although there is no reason these rules can’t be adapted to other time periods. The game is familiar it has classes and levels and is broadly compatible with the original fantasy role playing game - if you like old school games and you like the Cthulhu Mythos, this might be the game you are looking for! Black Books: Rich Man, Poor Man (Two new classes; The Dilettante and The Gadabout).